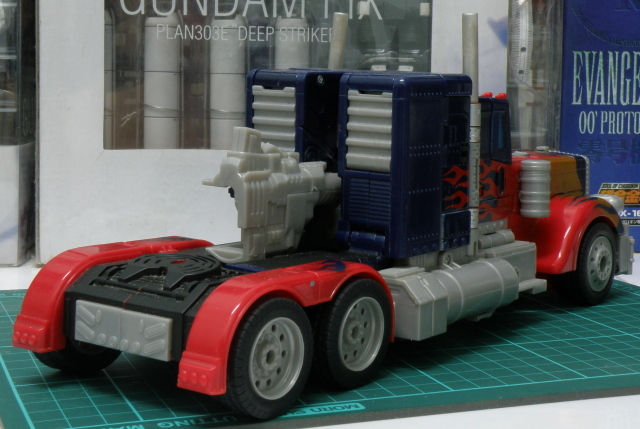 Transformers Movie 2007 Leader Class Optimus Prime Truck Mode [Part1] | Out of the box. This toy is a definately must buy transformers toy. Of course, it comes in robot mode. 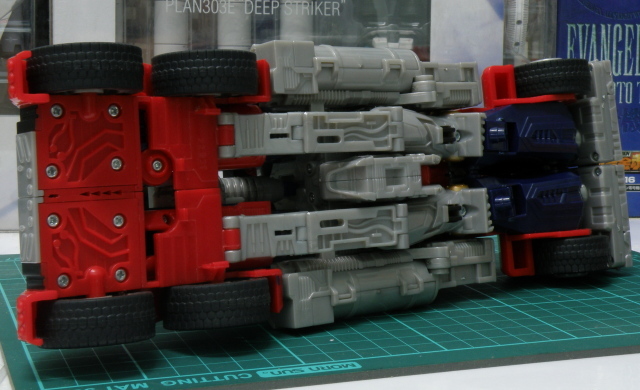 For this review, its truck mode will be reviewed as for saying saving the best for last. The truck mode is very simple, the only gadget or gimmick it has is its electronic truck sound. Individual movable real rubber wheels. No articulation of opening doors or windows. Another thing to gripe about this mode is its gun is very visible, sticking out at the back of the truck like a sore thumb. Or worst, it is a gun sticking to the back. Of course one can imagine that the gun is a very big radiator or a water tank etc. 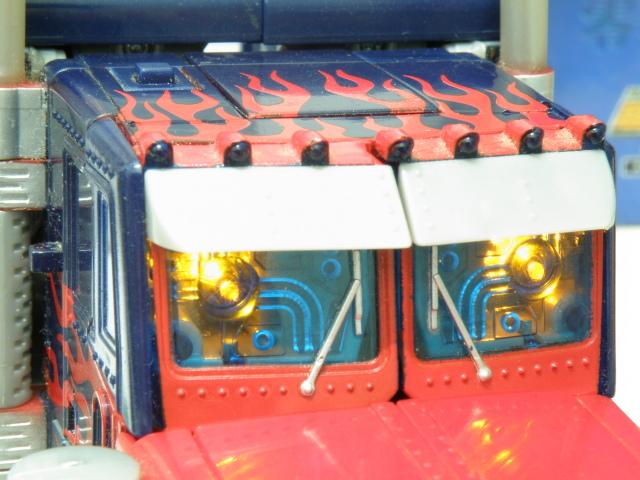 The under side of the truck mode will expose Optimus Prime robot legs. But it is understandable and it is more properly concealed. Despite all these gripes, Optimus Prime in truck mode is really a solid toy, good detailing of the sculpt and real rubber tires. If you like you can roll it on the floor imagining it is a truck. The place to keep the battery is well hidden. 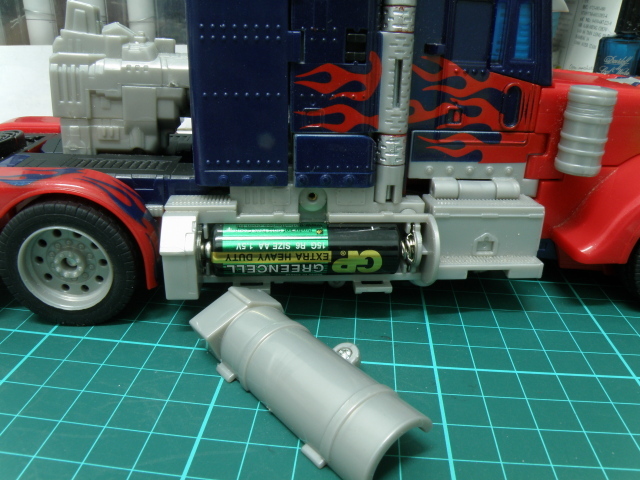 It is placed in the oil tanks at the side of the truck which is easy to replace if the batteries died out. 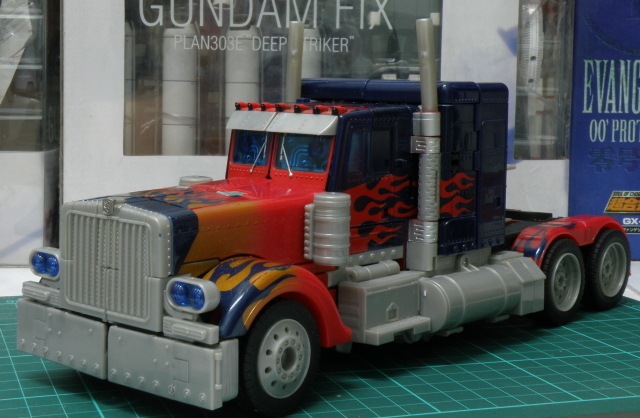 Overall, Optimus Prime Transfomers Movie 2007 leader class in truck mode has its charms, simple and sturdy. The details though not up to the masterpiece line, but it is a commendable effort by Hasbro toys designer to come out with this toy. This entry was posted in Mecha, My Hobbies, Transformers and tagged autobot, convoy, cybertron, gimmick, hasbro, hasbro transformers, leader class, optimus, optimus prime, review, transformer, Transformers, transformers movie 2007 by KarMeng. Bookmark the permalink.